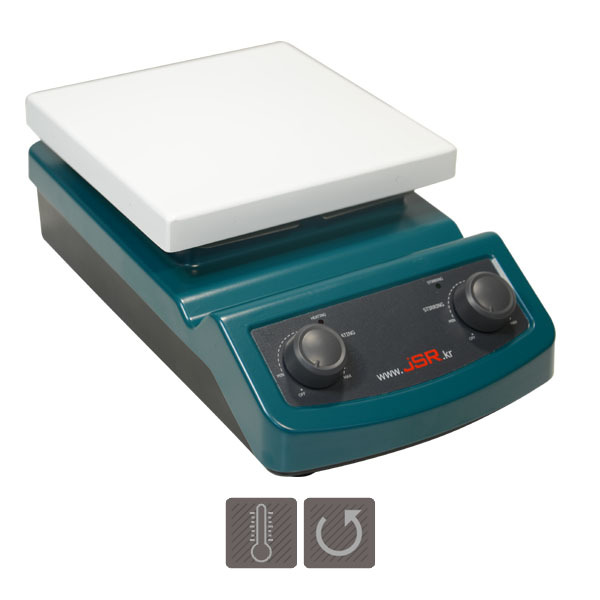 JSHS-18A Analog hotplate Stirrer is practical and versatile general purpose choice for hotplate and magnetic stirring. 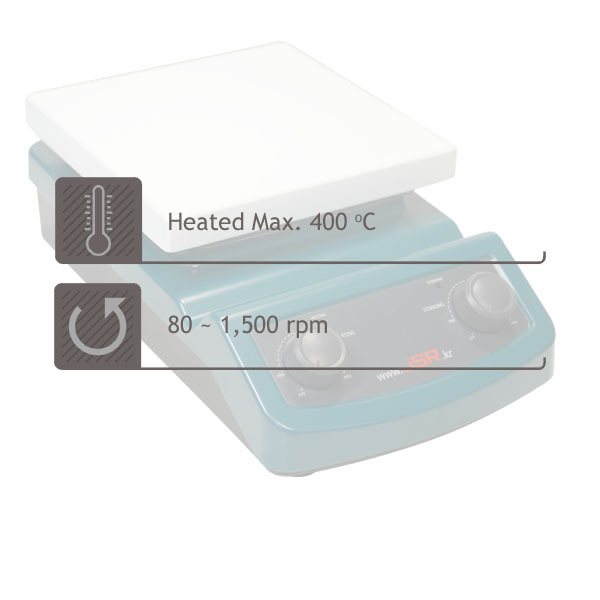 Control temperature up to max. 400 °C, stirring speed max. 1,500 rpm. 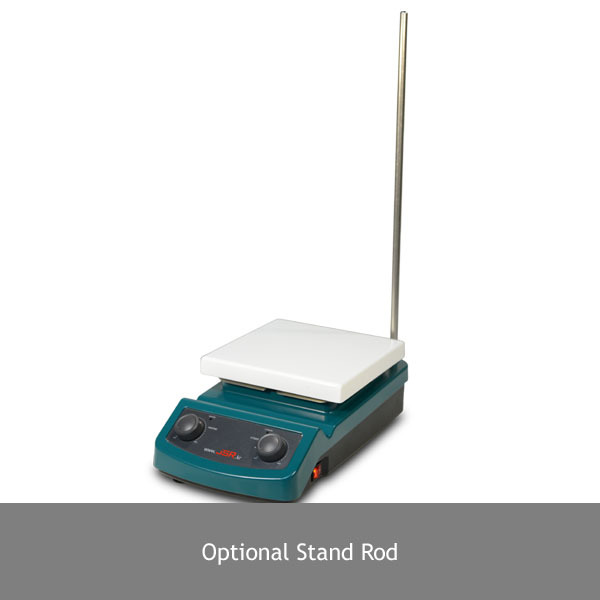 Durable and rugged aluminum casting body and chemical resistant ceramic coated top plate.